Track your sleep and get the best sleep possible with The Misfit Beddit Sleep Monitor. 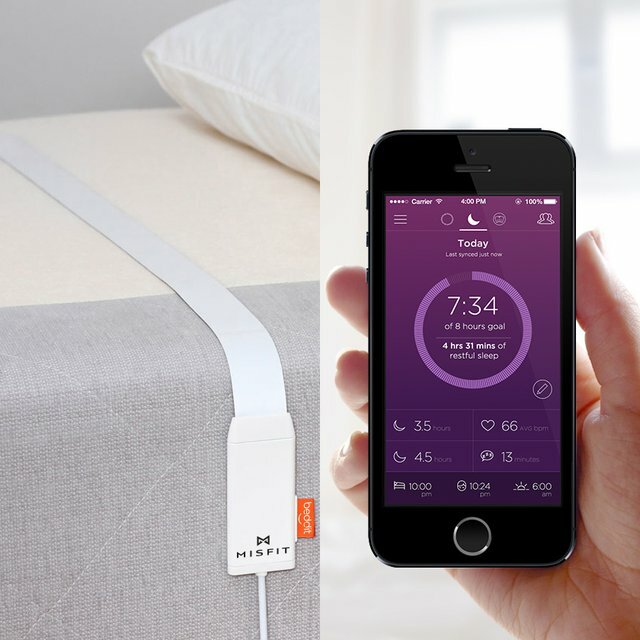 Beddit seamlessly measures sleep cycles and quality by measuring respiration, heart rate, movement, snoring, and ambient sound. Data is transmitted automatically and wirelessly to a smartphone where you can view key statistics and sleep graphs on the Misfit app. There’s nothing to wear; simply place it on your mattress.